Although we may find ourselves getting super excited about nursery interior design, sometimes we must take a step back and look into its purpose. While tons of decor can be fun, essentially, you want to create a calming and serene place for your baby to eat, play and rest. 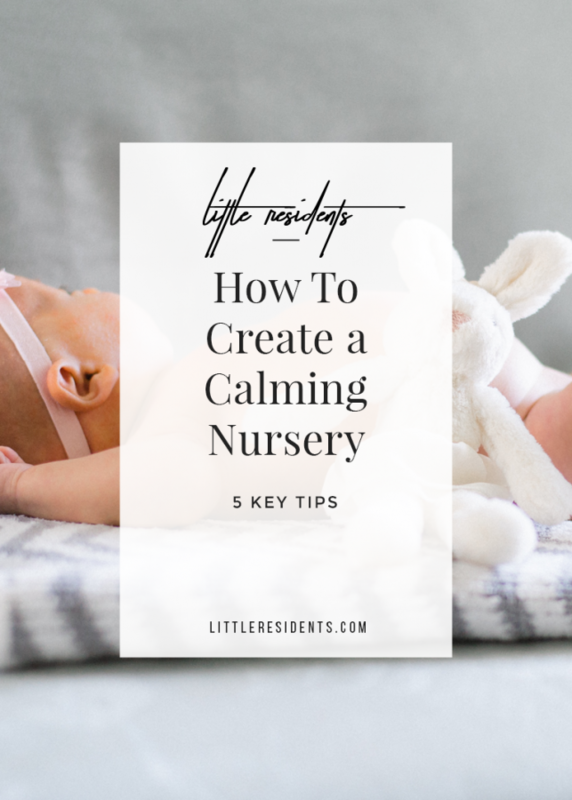 Here are a few of our tips on How To Create A Calming Nursery for your bundle of joy. When it comes to nurseries and decor, less is more. Clutter births a sense of chaos, so taking a minimalist approach when designing a baby’s nursery can lead to calm for you and your baby in the future. If your baby has a lot of things, then storage solutions are key to keeping everything clear and organized. This is particularly important when it comes to things in the babies crib, to avoid SIDS risks. In order to create a serene space, the color of a baby’s room needs to reflect that desire. Natural colors, such as blues and greens as well as whites or tans are all soothing, calming colors. Other vibrant colors may be fun, but they create an energy that can make babies fussy. Having just the right amount of light is important when creating a calming mood. Blackout curtains are great for keeping the sun out during a baby’s nap time. Also, lamps or light dimmers are amazing for providing just the right amount of light during night time feedings, so that your baby stays soothed and sleepy and isn’t too alarmed by bright lights. A small speaker in your room that can play soothing lullabies or a white noise device is great for getting your baby into a deep sleep. I love this adorable little Cloud B Fox. These may also be played from your phone, with many new apps specializing in these serene sounds specifically for babies. Mom and baby are connected in many ways. You will be spending a lot of time in your babies nursery, from feeding to playtime to sleep. By creating a relaxing space with a comfortable rocking chair and some cozy pillows, your serene state will be passed on to your baby. What are some additional things you keep in mind for creating a calm space? If you need some help, please feel free to check out our nursery interior design services.